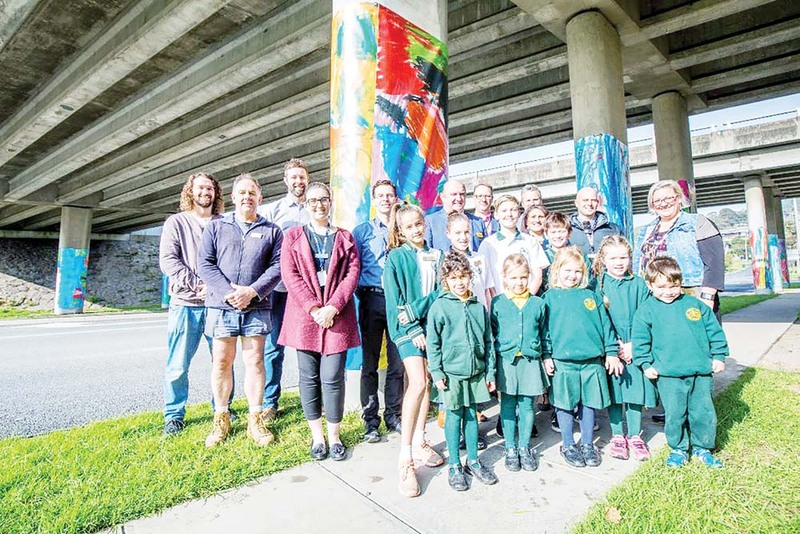 DROMANA Primary School pupils have responded to repeated graffiti attacks at the McCulloch Street freeway underpass by decorating the concrete themselves. Working in conjunction with Mornington Peninsula Shire and VicRoads the pupils’ works have helped bring life and vibrancy to the area. The artworks have been developed through workshops with Jill Anderson from the shire’s arts and culture team and prep pupils who created indigenous animal oil crayon drawings. Their Grade 6 buddies recorded the preppies’ stories to accompany the works. A total of 12 artworks will be installed and an eBook with all the artworks and stories will be available via the Mornington Peninsula Shire and Dromana Primary School websites. Dromana principal Bruce Mesley said being involved in “this unique project highlights our school’s connection to place”.